Arlington, VA/Washington, DC; MAY 7, 2014 – PBS and CPB today announced the launch of a new veterans’ initiative that features national content rolling out over several years, and local community engagement efforts to increase dialogue and solutions as our nation’s veterans transition to civilian life. The initiative includes national, multi-platform content on PBS under the banner of Stories of Service, and a community engagement campaign funded by the Corporation for Public Broadcasting (CPB) called Veterans Coming Home. PBS’ Stories of Service programming kicks off with the May 13 premiere of COMING BACK WITH WES MOORE, funded by CPB, which explores Moore’s search for answers to important questions about veterans returning from war. Longer range, the programming line-up includes the highly anticipated 2016 documentary on the Vietnam War from Ken Burns and Lynn Novick. Currently, the PBS programing under Stories of Service includes the upcoming NATIONAL MEMORIAL DAY CONCERT (May 25); DEATH AND THE CIVIL WAR: AMERICAN EXPERIENCE (May 26); D-DAY 360 (May 27); NOVA “D-Day’s Sunken Secrets” (May 28); MAKERS “Women & War” (September 2014); CRAFT IN AMERICA “Service” (November 2014); LAST DAYS IN VIETNAM (Winter/Spring 2015); HOMEFRONT (Winter/Spring 2015); and LA BATALLA (2015). In addition to funding much of the television content, CPB is also providing funding for national radio content, including STORYCORPS Military Voices, a special on THE MOTH, and other radio documentaries, including “The Great War,” a project to commemorate the 100th anniversary of the outbreak of World War I. At the local level, CPB is providing station grants in 13 high-need communities to work with community-based partners, inspire greater dialogue around issues and solutions, and facilitate veterans’ transition to civilian life. Led by Wisconsin Public Television (WPT), which produced the largest welcome home to Vietnam Veterans in 2010 at Lambeau Field, public media stations will engage local communities to support Veterans Coming Home (www.veteranscominghome.org) through localized websites, partnerships and resource development. WPT has engaged national partners and experts, including the Institute for Veterans and Military Families at Syracuse University, the University of Southern California Center for Innovation and Research on Veterans and Military Families, and the Veterans Crisis Line and Make the Connection at the U.S. Department of Veterans Affairs. 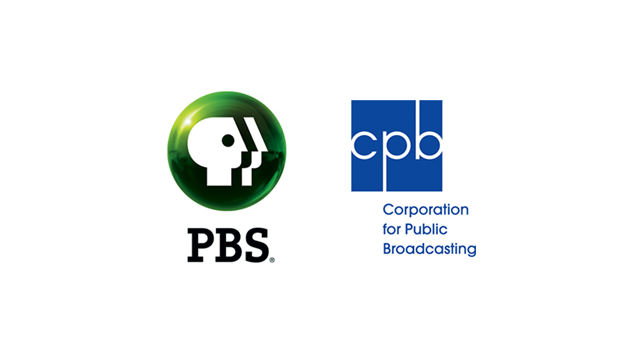 PBS stations receiving CPB grants include Detroit Public Television-WTVS (Wixom, MI), Eight, Arizona PBS-KAET (Phoenix, AZ), KLRN (San Antonio, TX), Nashville Public Television-WNPT (Nashville, TN), Twin Cities Public Television-KTCA (Minneapolis/St. Paul, MN), Vegas PBS-KLVX (Las Vegas, NV), WFYI (Indianapolis, IN), WGBY (Springfield, MA), WHRO (Norfolk, VA), WUSF (Tampa, FL), WVAS-FM (Montgomery, AL) and WYSO-FM (Yellow Springs, OH). Veterans Coming Home resources and materials will be made available to all public media stations. The Stories of Service collection on PBS’ website, www.pbs.org/storiesofservice, will include rotating films and videos, encompassing both new and archival programs from national PBS broadcasts and local member stations, resources for educators and students courtesy of PBS LearningMedia and resources for Veterans as part of Veterans Coming Home. The conversation will continue across social media using #ServiceStoriesPBS and in local communities on member station sites. Stories of Service will also feature local productions from PBS Digital Studios and Veterans Coming Home. For example, KLRN, the Emmy award-winning public television station serving South Central Texas, which boasts one of the largest concentrations of active duty and retired service members in the nation, will launch a local effort through a 10-part online series in partnership with PBS Digital Studios called Coming Home San Antonio. Coming Home San Antonio will look at the issues and challenges veterans and their families face as they try to re-integrate and build a new life back home. See their first local story here.